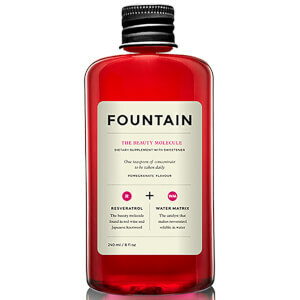 Keep your skin looking plump and youthful from within with the Fountain The Hyaluronic Molecule. 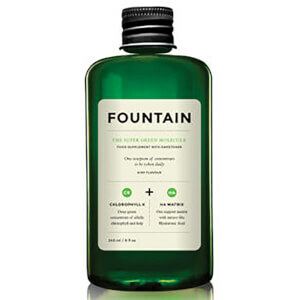 Containing 130mg of vegan-friendly hyaluronic acid per two teaspoon serving, the formula can help keep your joints supple, your eyes lubricated and your skin feeling soft, smooth and firm. Sweetened with natural xylitol which can help to contribute to good dental health, the supplement has a delicious ginger flavour. Free from artificial colours and flavours, it's suitable for both adult men and women. - L.M. Water, Sweetener Xylitol, Hyaluronic Acid, Natural Ginger Flavor, Zingiber Officinale Root Oil, Preservative Potassium Sorbate, Preservative Citric Acid.